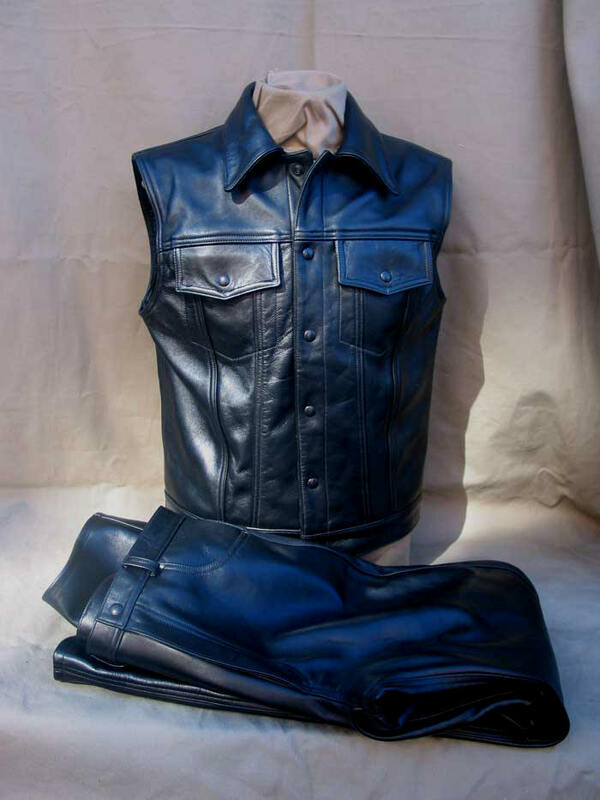 The leather Jeans Jacket isn't uncommon. 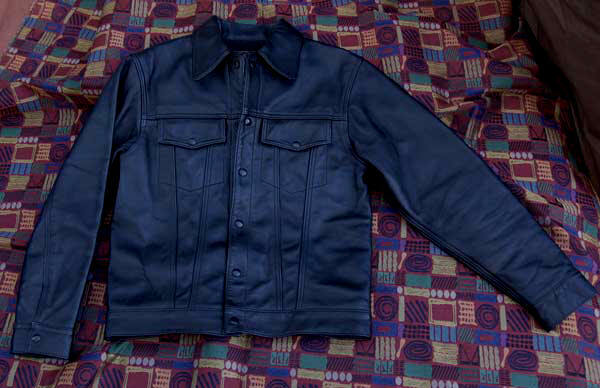 The LOST WORLDS JEANS JACKET is uncommon. 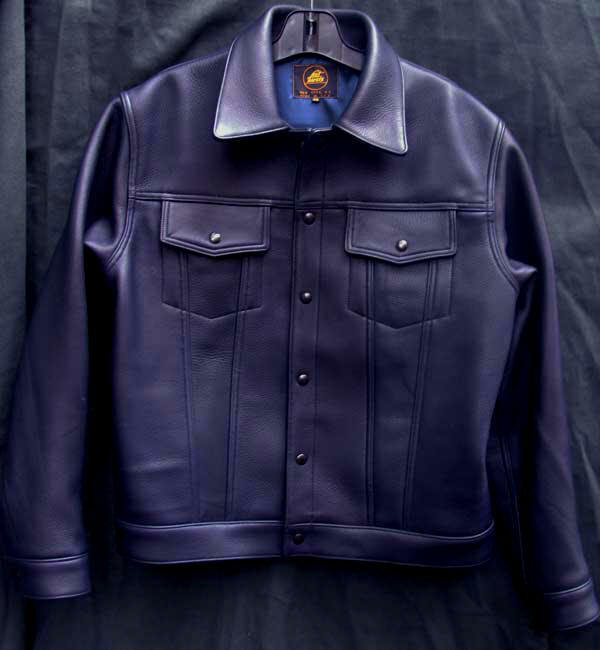 We take this time-honored classic and do it our way -- rugged 4.0+ Horsehide. The perfect construction and perfect fit. Detailing that gets you noticed wherever you are, whatever you're doing. Extraordinary workmanship, of course. Take a look at the stitching in the shots above. 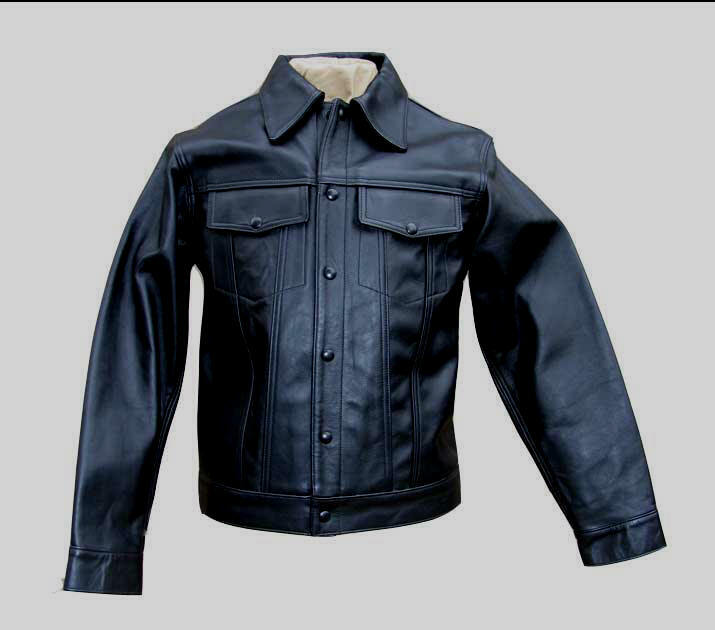 Significantly better workmanship than a cotton jeans jacket -- and our Horsehide is the toughest imaginable hide to work with; it fights the craftsman and his machine! Detailing that suggests, even, a kind of archetypal, iconic quality, since it expresses the design in so idealized and perfect a manner. 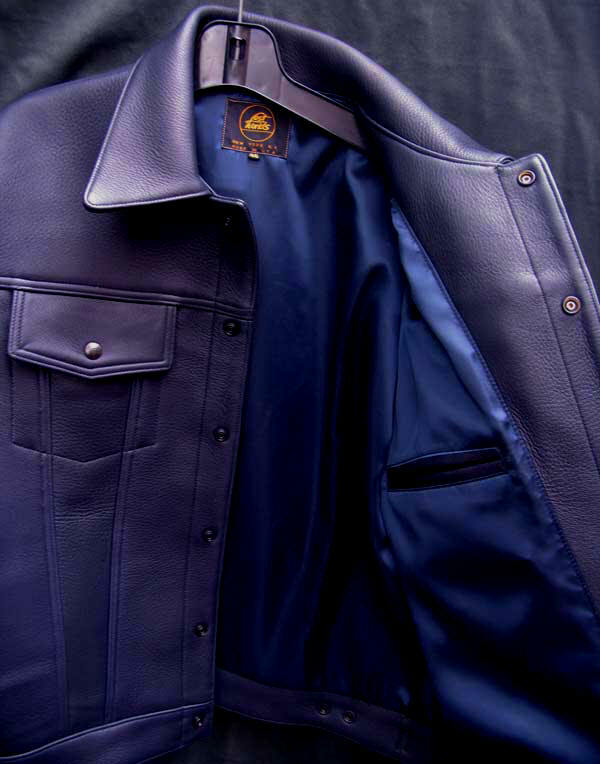 Paired with our Leather Jeans, an arresting outfit, to say the least. Some say it's lonely at the top. It's not -- an inner voice (not, though, our "inner child" -- ugh!) is always there, exhorting us to extend even further. You should speak to some of our craftsmen -- sometimes they think we're crazy, always adjusting, tuning, rethinking, tweaking. At the same time they're proud to be working for LOST WORLDS. As we say elsewhere on this site, stop swimming and you die. 100% Flight Satin Nylon Lining, Twin interior pockets.